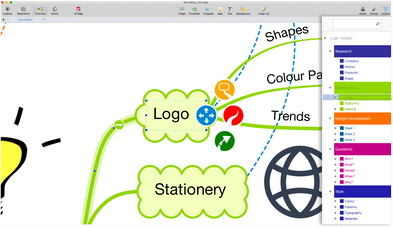 Displaying your work in a linear format, the Outline Panel is available in Brainstorm, Fast Capture and Mind Map View, adding a new organisational element to iMindMap 9. Click an idea in the panel to jump to that section in the view you are working in. 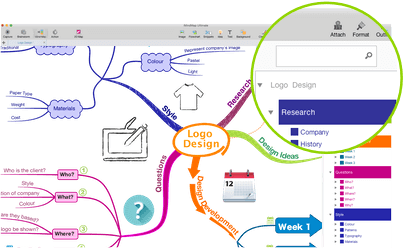 A new way to copy and paste your ideas, the Outline Panel can be used as a fast and easy way to move ideas around on the canvas. Select and drag an idea and drop it into the Outline Panel so you can update and streamline your ideas from one place. In response to your feedback we have added a Search Filter in the panel so you can quickly locate and edit your ideas. You can also group ideas in the Outline Panel, making it a powerful organisational tool.